NASHVILLE, Tenn. (April 8, 2016) – CMA Music Festival’s Nightly Concerts just got even bigger. 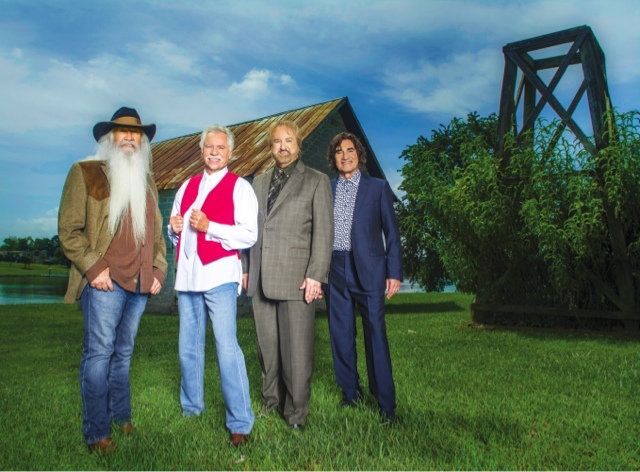 CMA Announced via the CMA Music Festival app thatCharlie Daniels Band, Exile, and Nitty Gritty Dirt Band will perform as part of the Nightly Concerts at Nissan Stadium. In addition, Country Music Hall of Famers The Oak Ridge Boyswill sing the National Anthem for the opening night of the Festival. They join previously announced fellow Country Music starsJason Aldean, Frankie Ballard,Kelsea Ballerini, Dierks Bentley, Clint Black, Luke Bryan, Eric Church, Brett Eldredge, Florida Georgia Line, Sam Hunt, Miranda Lambert, Little Big Town,Marshall Tucker Band, Rascal Flatts, Thomas Rhett, Blake Shelton, Chris Stapleton, Ray Stevens, Cole Swindell,Steven Tyler, Carrie Underwood, Keith Urban,Hank Williams, Jr., and Chris Young who will perform during the Festival’s Nightly Concerts at Nissan Stadium. Artists and schedules are subject to change. Daniels, who was announced March 29 as a 2016 Country Music Hall of Fame inductee, will lead the charge with the first set Thursday night. Thanks to the announcement on the CMA Music Festival app, fans are already clamoring over the news that the Nitty Gritty Dirt band joining the Saturday night lineup, and Exile hitting the stage Sunday. The 2016 CMA Music Festival runs Thursday through Sunday, June 9-12 in downtown Nashville. While the Festival boasts numerous free stages and unique fan experiences, the most anticipated events are the Nightly Concerts at Nissan Stadium, which sell out long before talent is announced. This year’s app is now available in the App Store for iPhone andAndroid and includes features that allow fans to create individual concert schedules and be the first to know which of their favorite stars will be appearing on the various Festival stages. Funds generated through CMA Music Festival ticket sales benefit music education. Since 2006, CMA and the CMA Foundation have donated more than $13.6 million to support sustainable music education initiatives across the country on behalf of the artists who participate in the event for free. Fans who were not able to purchase tickets to the Nightly Concerts are still able to enjoy non-stop music, fan engagement, and artist experiences through numerous FREE stages and events across town and by experiencing Fan Fair X in the Music City Center. Tickets to Fan Fair X are available now at CMAfest.com(Fan Fair X admission is included in four-day CMA Music Festival tickets). Fan Fair X tickets are $10 per day or $25 for a four-day pass. For the second year, fans will be able to purchase a four-day pass to the Fan Fair X that includes a general admission ticket to the Country Music Hall of Fame® and Museum that is good for use any day in 2016. The package deal is on sale now through Friday, June 10 and costs $39.95. The combination Fan Fair X/Country Music Hall of Fame tickets are available via the Country Music Hall of Fame website,countrymusichalloffame.org, and will also be sold at their box office during the week of CMA Music Festival. For upcoming announcements and all other info stay connected with CMA on CMAfest.com,Facebook.com/CMA,Twitter.com/CountryMusic,Instagram.com/CMA, and sign up for CMA Country Connection, CMA’s e-newsletter. Fans can also download the 2016 CMA Music Festival mobile app for iPhoneor Android to view the latest artist lineups and to plan their Festival experience. CMA Music Festival will once again be filmed for a national television special to air on the ABC Television Network. This is the 13th consecutive year the event has been filmed for a network television special, a feat no other music festival has achieved. "CMA Music Festival: Country's Night to Rock" will be executive-produced by Robert Deaton. CMA Music Festival is organized and produced by the Country Music Association. Fan Fair® is a registered trademark of WSM, Incorporated and is used by permission.